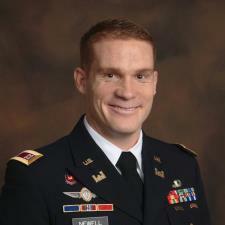 I am a current instructor at the United States Military Academy at West Point. I earned the following academic credentials: an MBA from Duke University and a Master's in Engineering Management from MS&T. I enjoy helping others learn; and I have an easy style with flexible hours. I will teach students what they need to know in the quickest, most efficient manner possible. And I would love to help. With regards to my academic credentials, I graduated in top 10% of MBA class at Duke University (2017) and top 25 from USMA (2008). And I currently teach an excel-based optimization, decision analysis, and simulation class at USMA. More specifically, I graduated in top 10% of MBA class at Duke University with a concentration in Investment Finance. Feel free to contact me, as I would be happy to help.